JNTU Kakinada B.Tech 2nd Year 1st Semester Results January 2015 for Regular and Supplementary were announced by JNTU. Check JNTUK B.Tech 2-1 R13,R10,R07,R05 Reg Supply Results Jan 2015. JNTU Kakinada B.Tech 2nd Year 1st Semester Results January 2015 for Regular and Supplementary were announced by JNTU. Check JNTUK B.Tech 2-1 R13, R10, R07, R05 Reg Supply Results Jan 2015. 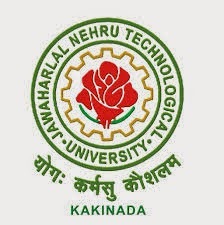 Jawaharlal Nehru Technological University Kakinada is announced the Examination Results of B.Tech 2nd Year 1st Semester R13, R10, R07, R05 of Regular and Supplementary Exams which were conducted in the Month of January 2015. We are here providing the Results directly for the candidates who are appeared in their College (JNTU Kakinada Campus and JNTUK affiliated Engineering Colleges) from here using below provided link. Just Click on the below link and enter your Hall Ticket and Select Course i.e., R13, R10, R07, R05 and get the Results right away. Results for II B.Tech I Semester [R05,R07,R10,R13] Regular Examinations Jan-2015 "-1" in the filed of externals indicates student absent for the respective subject. "-2" in the filed of externals indicates student Withheld for the respective subject. "-3" in the filed of externals indicates student Malpractice for the respective subject. Last Date for Recounting/Revaluation/Challenge By Revaluation: 27-03-2015.